According to your desires and trends, the Nilaï designer necklace can be worn alone as a subtle detail or as an accumulation in a rock or bohemian chic style! Decorated with natural stones or Swarovski crystals, we intertwine chains, medallions, charms, eternal symbols! Our creations can be sunny, distinguished, wise or bold to allow you to play and claim your style. In short necklace or long necklace we play with the lengths of the chains, we adjust them according to our outfit! Gold plated or silver finished in our Parisian workshops, Nilaï Paris necklaces are worn every day like a second skin, like a talisman or a lucky charm! They are of high quality and durability! They won't ever leave you! Looking for colour and exoticism, fall for the sensuality and timeless beauty of semi precious stones that you will find in all Nilaï Paris jewel collections. Let yourself be charmed by the lovat green reflections of a labradorite, the sweetness of a pink chalcedony, the turquoise shades of an amazonite! We have selected them for you in faraway places. Each Nilaï designer piece of jewellery has something special! Nilaï Paris creations respond to each other !... Chains, necklaces, bracelets, bangles or rings are meant to be combined, to be superimposed, to be put side by side, so you must not be afraid of imagining your own arrangements to create your own style. Whatever your style and preferences, you will always find satisfaction among Nilaï Paris jewellery collections. Alegria necklace is a discrete and timeless piece that can be worn throughout the seasons and combined with charm and delicacy to all your jewelries. 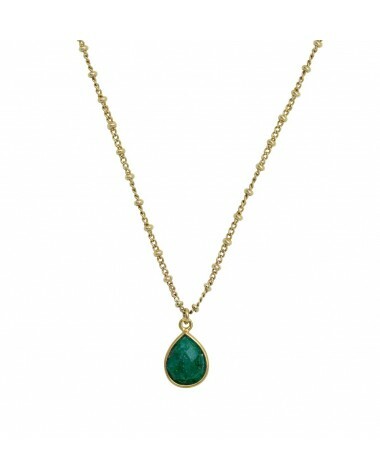 As part of the "all gold" trend, Auréus necklace is one of those jewelries that we love to accumulate. What sublimate an outfit while simplicity and elegance. Fall for this Charlotte necklace with a vintage and romantic accent. It will spice up your outfit with retro-chic elegance. This favorite piece from Nilaï Paris declines its natural cushion-shaped stone with a 2-ring connector for more elegance. 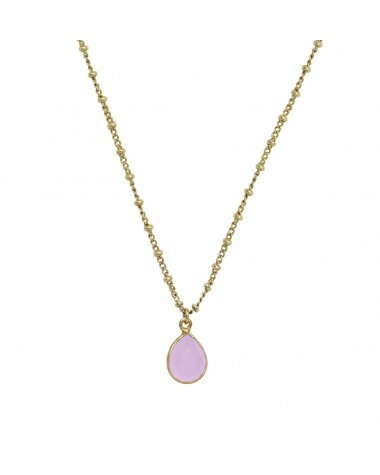 Beautify your neck with the Color Stones drop necklace adorned with a sumptuous natural stone.Its pendant shaped drop will slide along your neckline with delicacy and elegance. A chain adorned with a 24k gold plated charm. Simplicity and efficiency! This colourful necklace is made of Miyuki beads, these thin and brightly coloured regular glass beads from Japan! It is adorned with a 24k gold plated charm. 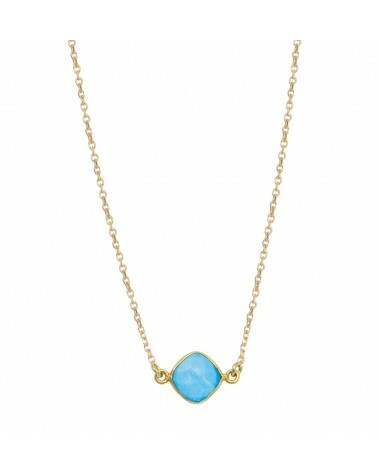 The Little Stones necklace is made of a pretty chain set with small natural stones. A very elegant simplicity! The Lune Arabesque designer necklace from our Oréade collection is finely crafted with scrolls. Its centre is decorated with natural stone in the truest tradition of Nilaï Paris!